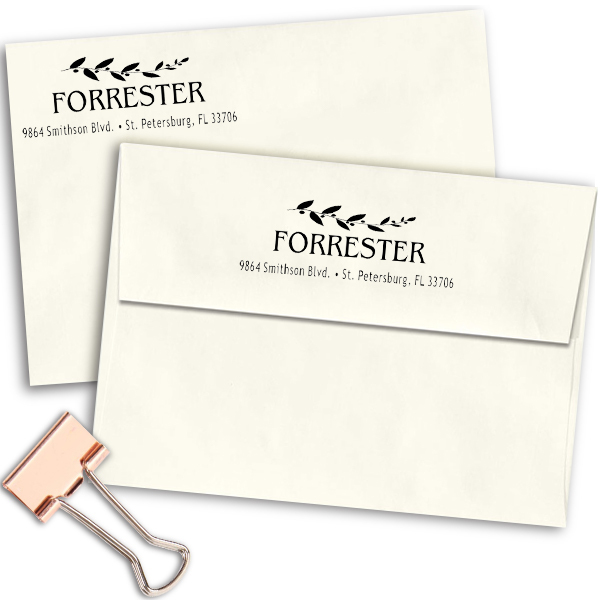 Remarkably made by our team of dedicated workers and sent out to you as fast as possible, this 1” x 2.5” Forrester Leafy Vine Address Stamp will add a striking style to all of your outward bound mail. 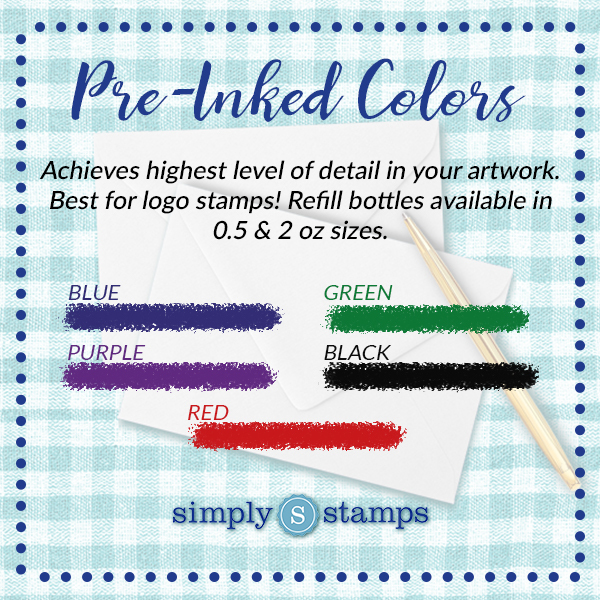 Supplied in a great selection of designs, this is the perfect return address traditional stamp design for your home. 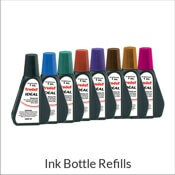 Purchase yours now! 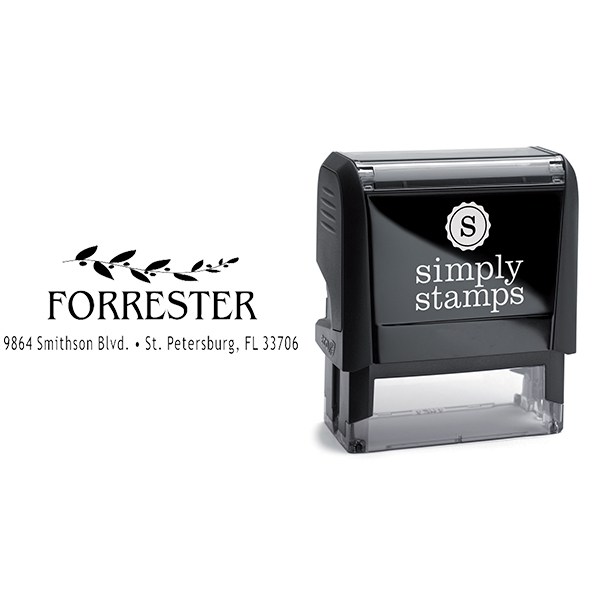 Forrester Leafy Vine Address Stamp Details Come browse this new Forrester Leafy Vine Address Stamp! 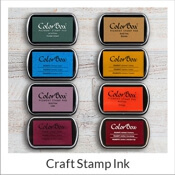 Manufactured just for our exceptional customers, we have ample stamp creations to aid you locate your dream match! 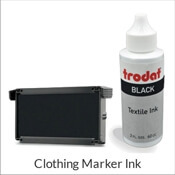 All of our custom address stamps has been expertly produced by our skilled manufacturing staff and designers. 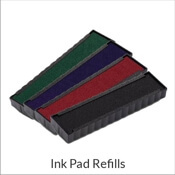 Offered in a wide variety of sizes and colors and good to help you get all of your mail in half the time! 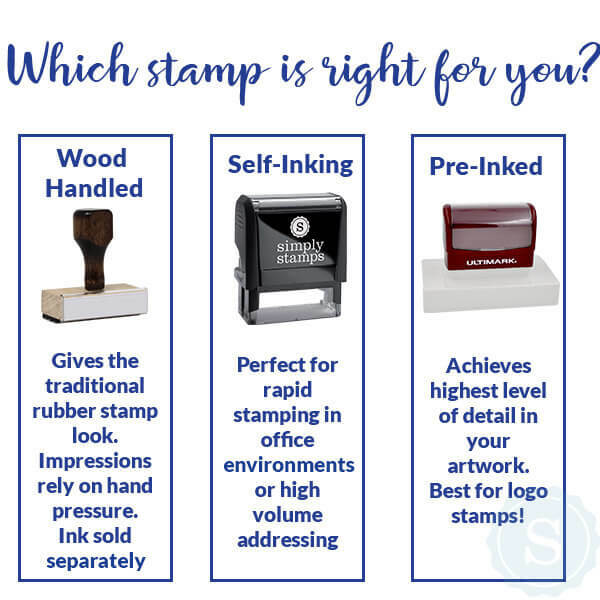 Each and every single one of our custom rubber stamps are composed of top of the line materials guaranteed to leave you with the greatest impression repeatedly! 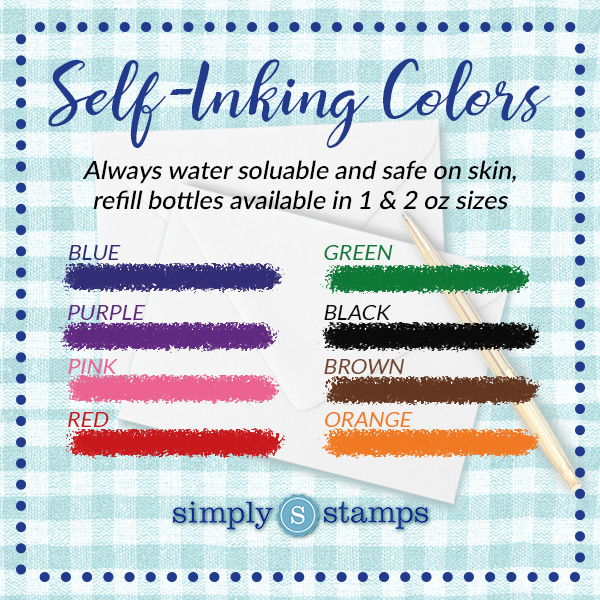 Buy your brand-new return address stamp here!